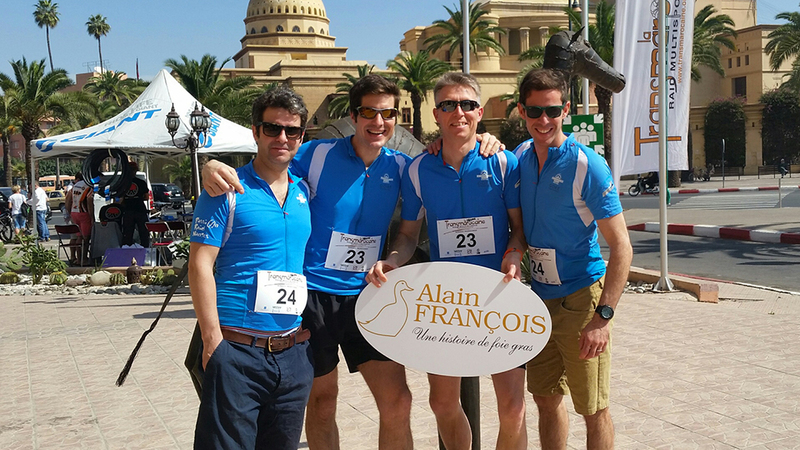 To celebrate the 10th edition of Transmarocaine in Marrakech (Marocco) from the 14th to 22nd of March 2015, Maison Alain FRANÇOIS is supporting Pierre FRANÇOIS and his team : Passion Raid Nantes. During 8 days, the team will discover Marocco and its incredible landscapes. Many surprises have been prepared, including orienteering in the medina of Marrakech, beautiful races in the Atlas mountains, and for the very first time discovering of Agafay desert.